Bangladesh will not allow its shippers to use India’s Kolkata and Haldia ports to export and import goods to and from western countries, a key Bangladesh shipping official said. Currently, ships are allowed to transport bilateral cargo from Kolkata and Haldia ports, but they cannot carry international cargo, which is banned under a coastal shipping agreement. Both Kolkata and Haldia have ample capacity to handle the volume. Bangladesh Shipping Secretary Abdus Samad told the decision was made with the interests of Bangladesh’s Chittagong and Mongla ports in mind; their capacity is rising, given new equipment and the construction of jetties and terminals. “We have to think about our ports first,” Samad said. Samad said the Chittagong Port Authority (CPA) is constructing several terminals to enhance its capacity. The Bay Terminal alone will have 13 jetties, which will improve cargo handling capability significantly. In addition, construction of Patenga Container Terminal (PCT), with a 250,000-TEU annual capacity, is proceeding at full pace. What’s more, the shipping secretary said projects are underway to enhance Mongla port’s capacity, including Pangaon Inland Container Terminal (PICT), while construction of the country’s third seaport at Payra is about to start, with the dredging of its main channel. Meanwhile, the shipping secretaries of Bangladesh and India will meet to address bilateral issues from October 25 to 27 in New Delhi. Asked whether they will discuss the use of Kolkata and Haldia ports by Bangladeshi shippers, Samad said the issue is not formally on the agenda for the talks. However, he said the issue may come up for discussion informally, if the Indian side raises it. Several months ago, Kolkata Port Trust invited the Bangladesh authority to use its ports for handling international trade. They said Bangladeshi shipper use of the Kolkata and Haldia ports is an option for those who want to avoid congestion at Chittagong port. 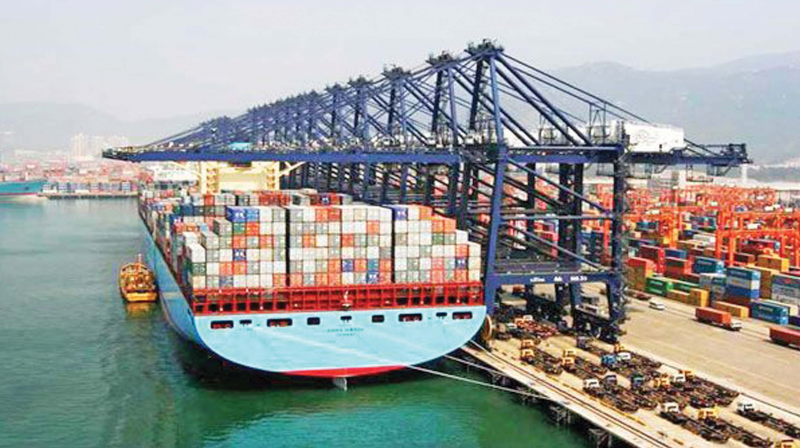 A group of businessmen are eager to use the two Indian ports, due to ongoing, longstanding congestion at Chittagong. Further, they fear that when India, Nepal, and Bhutan start using Chittagong and Mongla port under a transit facility, the congestion may worsen. Gulf Orient Seaways Ltd managing director Sk Mahfuz Hamid told, Chittagong port is overloaded. “If the Indian ports are used for transporting Bangladesh’s international trade, the capacity of Pangaon ICT won’t remain underutilized,” Hamid said.